Have you considered homeschooling, but aren’t sure it’s right for you? Looking for ways to supplement your child’s education at home? Join the Holistic Moms Network of San Jose for a round table discussion of seasoned homeschoolers. Come and discover how different moms homeschool their kids, find out valuable tips, and gain knowledge and resources. Even if you do not homeschool, this will be a great meeting to discover ideas and activities that might interest any child. This will be a great discussion with lots of Q & A time. There will also be a homeschool swap – where attendees may bring or take any materials/books/items. 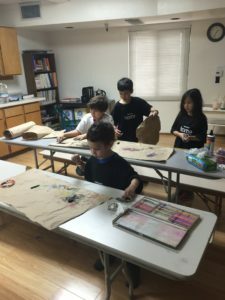 The picture is from our HMN Homeschool Co-op!